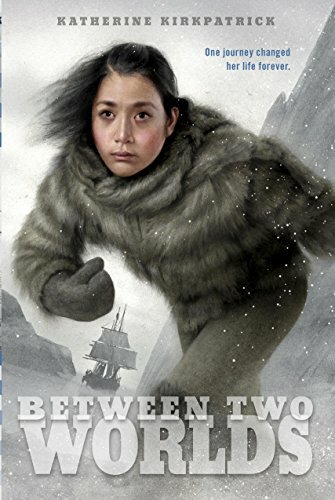 Between Two Worlds by Katherine Kirkpatrick is the story of 16-year-old Eqariusq (also called Billy Bah), an Inuit girl in Greenland. One day a ship arrives in Billy Bah’s small village, bearing supplies for the explorer Robert Peary. On the ship are Peary’s wife and daughter with whom Billy Bah lived for a year in America. Billy Bah is glad to see them, but is torn between the fascinating world of the white men and her own, and that conflict intensifies when her husband starts trading her to a sailor on Peary’s ship.